Battle of Metarus (207 B.C.) - Rome managed to stave off defeat in the Second Punic War after Cannae by essentially shutting up its city and allowing Hannibal to run free throughout the Italian countryside. He did not have the siege equipment to attack the city and the two sides were stalemated for the next nine years. 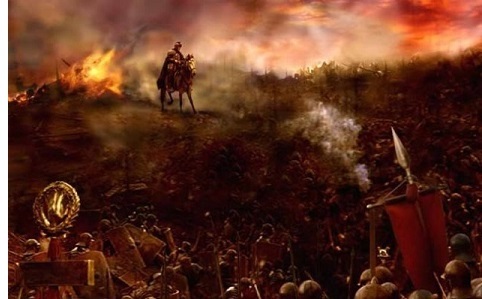 Finally, Rome managed to turn the tide at the Battle of Metarus in 207 B.C.. A second Carthaginian army, not led by Hannibal, was marching to reinforce his position, but was cut off by a Roman army and defeated. Without these reinforcements, Hannibal started to weaken.